Have you been following my series on interior design styles? Last time, I talked about urban spaces and their focus on streamlined looks and contemporary flair. If you were interested in urban interior design style, you’re going to love today’s style: industrial chic and loft design. This type of interior design is a natural extension of the urban style I’ve referenced before because they’re most often seen in cities. The classic loft space is one that’s carved out of the large, open floor of an old factory or other industrial space that’s fallen out of use. As manufacturing has declined, smart architects and designers have moved in to transform the spaces into chic new living areas. Interestingly enough, there are even brand new buildings being erected in the suburbs that emulate this old look due to its popularity. Compact Footprint: Because this style originally came from urban lofts, it looks its best in a smaller space. Industrial chic is perfect in condominiums and apartments, especially ones with open floor plans that rely on furniture to define different living spaces instead of walls that divide it up. Exposed Infrastructure: Rather than trying to hide its history as an older factory building, industrial chic design makes it a major style element. Look for things like original brick walls, exposed pipes and original, pock-marked wood floors to add character and interest. Gray Color Palette: In keeping with the industrial theme, this style uses lots of gray. Consider lighter tones on finished walls and deeper shades on upholstered furniture and painted cabinetry. Stainless steel appliances round out the palette while adding a lustrous quality. Minimal Accessories: Because industrial chic styling makes the most of smaller spaces, you won’t find many accessories lying around. Clean surfaces are de rigueur, and the look is instead created with interesting lighting fixtures and hardware; in fact, Restoration Hardware is the mainstream go-to example of this look in action. We also utilize several trade-only lines that enable a more customized or personalized design. In general, industrial chic tends to be a look favored by the young, and that makes sense. Young professionals and millennials prefer walkable cities with lots of cultural amenities, and they haven’t yet accumulated a lifetime of furniture and other “stuff” to display. However, each of us have our specific design style preferences and this is one look that shouldn’t be defined by your age! If this style appeals to you but you’re not sure where to start, give us a call. There are often many ways to adapt this look for your home, but it takes a trained eye to do it well. 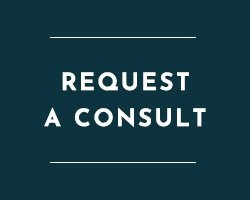 We offer on-site consultation to answer your questions and get you started on the perfect home or office design. Call us at 214-326-1160 or contact us using the form on this page. We look forward to hearing from you!